certainly see the benefits for his rugby moving forward”. Seniors (16-17yrs): Friday at 3.15pm. Please use the age groups above as a rough guideline only – it may be that your child could take part in a younger/older class based on their physical development, however, we would ask to meet them at a taster session first to assess which group is most suitable for them – see below. We are currently putting together a progressive programme which starts in January to get your kids super motivated and seriously fit in 2017. Our programme includes fitness benchmarking so that you can measure their progress and so that we can celebrate their successes and personal bests together. Remember there are 2 coaches in each class and class numbers are restricted to 10 to ensure quality coaching. The Skirmish Team are offering BRCSC parents/kids packs of 10 for £50, so just £5 per class. Even better, 10% of all gym memberships goes back into the Club too. Places are limited, so simply CLICK HERE (SCROLL TO THE BOTTOM OF THE PAGE) to buy and book your kids into the sessions which start on Friday 6th January. Class packs are valid for 6 months. If you can’t make a session, you can simply un-book your young person from the session. If they love the sessions, you can book more than one per week, speeding up their development and of course letting them hang out with friends. Once you have bought a class pack simply go to THE SCHEDULE and book your young person into classes. CAN I STILL HAVE A FREE TASTER IF I DIDN’T MAKE IT TO THE DECEMBER TASTERS? The Energy/Skirmish team believe in their coaches and training which is why everyone gets a free taster before they buy. This way you can see the coaches in action and see if your kids like the ‘community’. Feel free to chat to other parents, and ‘bring a friend’ to give kids the confidence they need to try something new. 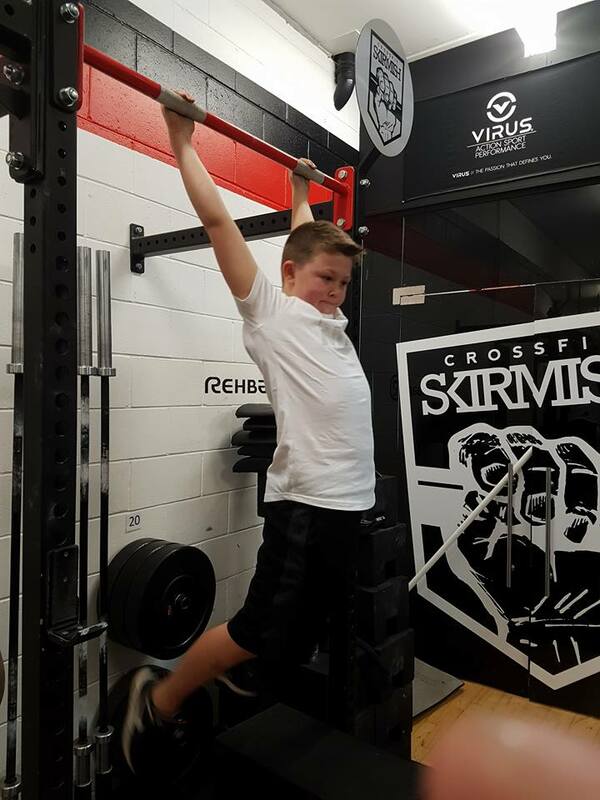 Trust us, after a few classes you will see both their fitness and their confidence as a young person grow exponentially as they learn to rope climb, do handstands and pistol squats. They will also get faster and stronger on the field too! 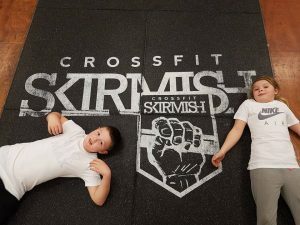 To book into a class as a taster, provide any feedback or indeed if you need help booking into the new Kids S&C classes, please contact Siobhan by email at admin@crossfitskirmish.co.uk or call 07912 409951.